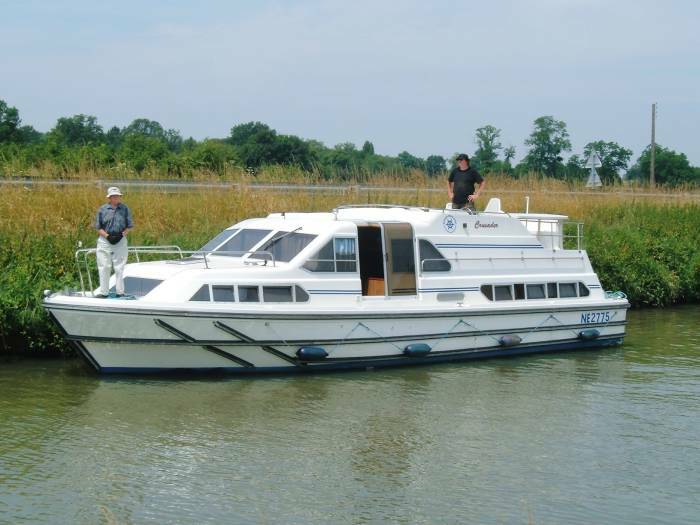 Many people have been amazed that we simply rented a boat and took off on our own cruise along the canals in France. "But who operated the boat? ", they ask. 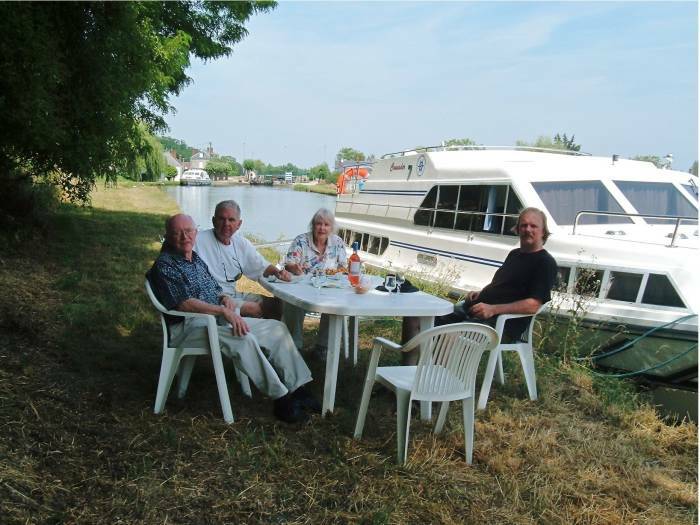 We did, see the previous page about piloting the boat and getting through locks. "But how did you get meals? ", they ask. If they ask that, apparently they have never been to France. You won't go hungry. 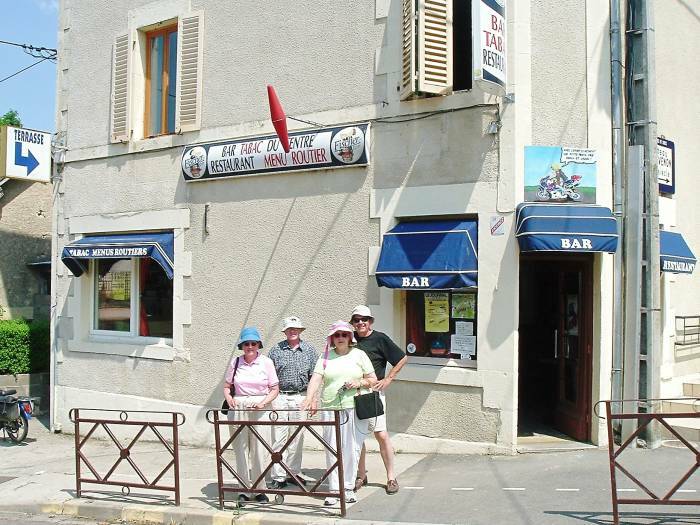 Even small villages have places to get great meals. 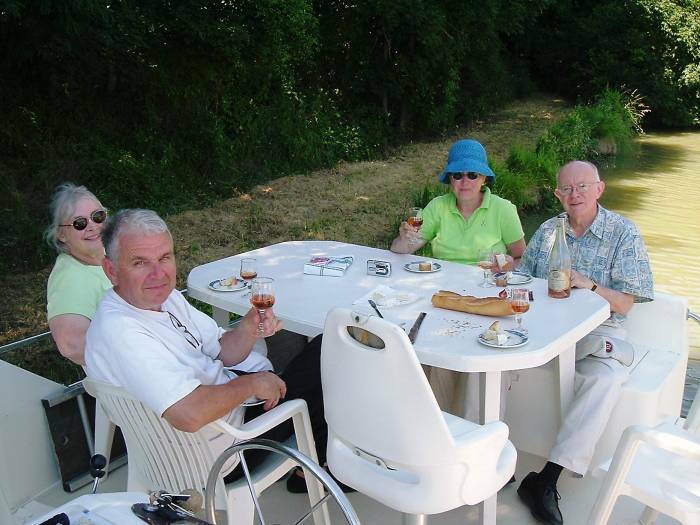 Some days we would stop and get lunch at a restaurant in a village along the canal. Lunch this day included a large salad, garlic bread, and small sandwiches. L-R: My mom, Shirley, me, and Larry. 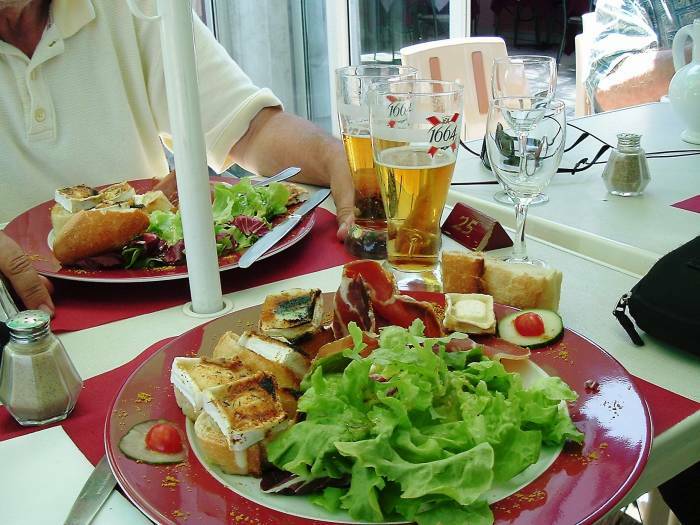 You can get great meals anywhere in France. 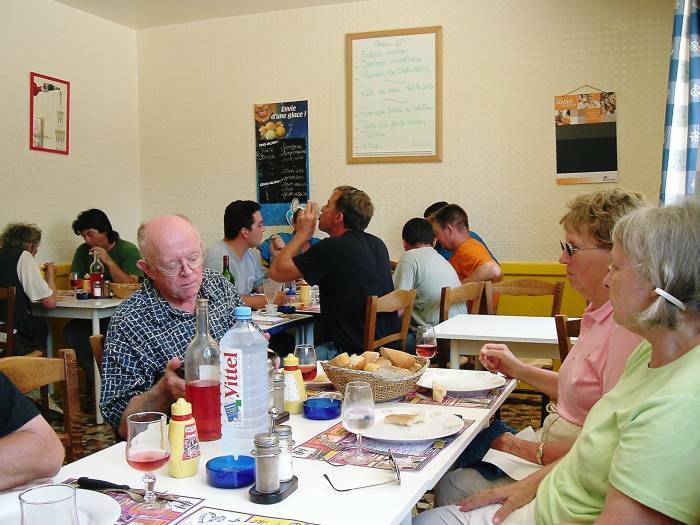 Here is a cafe with a menu routier — basically "meals for truckers", or a truck stop. 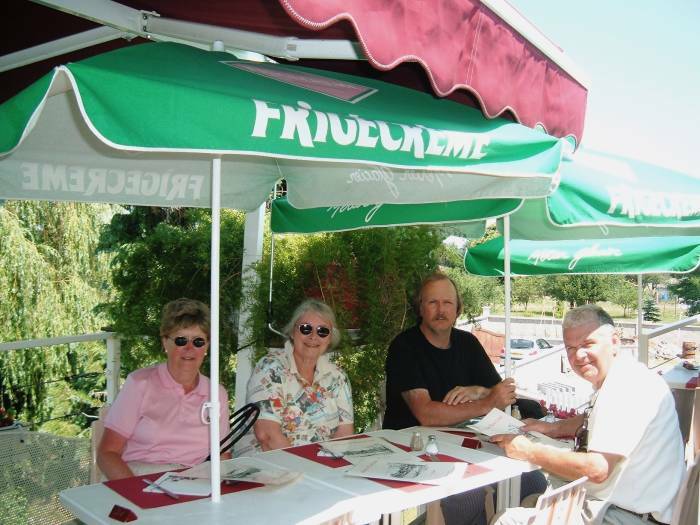 L-R: Some truckers, my dad, more truckers, my mom, and Shirley. Yes, that's the French truck stop menu! It's your boat and your schedule. You can stop wherever you want to tie up and have a wine and cheese break. Sometimes we just sat on the upper deck. Sometimes we were more ambitious and moved the lawn furniture down to the bank. Of course there are grocery stores all along the way — the people who live in those villages have to eat, too. So we would stock up as needed along the way. And even the one-Euro-per-liter wine is good! Buy it in the square plastic bottles just as the locals do.